From Paris to Providence: Fashion Art and the Tirocchi Dressmakers' Shop, 1915-1947was published in conjunction with the exhibition of the same name at the Museum of Art, Rhode Island School of Design, Providence, RI; January 12-April 8, 2001. You can order a copy of the catalog, designed by Gilbert Design Associates, Providence, by calling the RISD Museum Store: 401-454-6540 Tuesday-Saturday 10:00 - 4:30; Sunday 12:00 - 4:30. 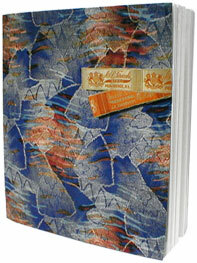 The large, cloth-bound catalog costs $29.95, and there will be a $6 charge for shipping. The full texts are linked below.